3 Reasons Your Hard Money Loan Request Will Be Denied - North Coast Financial, Inc.
Hard money loans are fairly easy to obtain, especially when compared to a conventional bank loan. The approval process for hard money can take as little as a day and funding can be completed within a week if necessary. Approval and funding for bank loans generally take 45 days or more. Hard money lenders are able to look past borrower issues such as less than perfect credit scores, lack of income history or recent short sales, foreclosures or loan modifications. These are all issues that would prevent a conventional lender from providing financing. 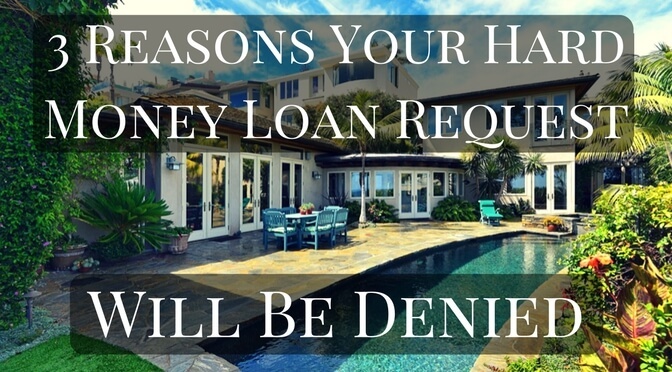 While obtaining a hard money loan is generally much faster and easier, there are 3 major reasons why a hard money loan request will be denied. The most common reason for a hard money loan request being turned down is that the borrower doesn’t have enough of a down payment to put toward the purchase of the property, or they don’t have enough equity to borrow against in a property they already own. Some novice real estate investors incorrectly assume that a hard money lender wants to finance 100% of a property purchase. Read More: 3 reasons hard money lenders hate to hear “I need 100% financing”. 25% is generally the minimum amount of equity the borrower must have invested in the deal. 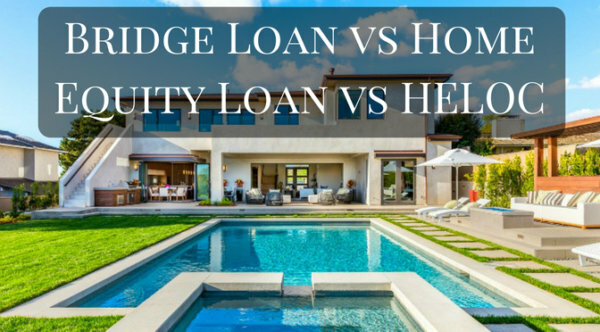 Purchasing a property at a lower price than current market value with “built in equity” is not a substitute for a lack of down payment as hard money lenders require that the borrower has money of their own invested in the deal and has some “skin in the game”. 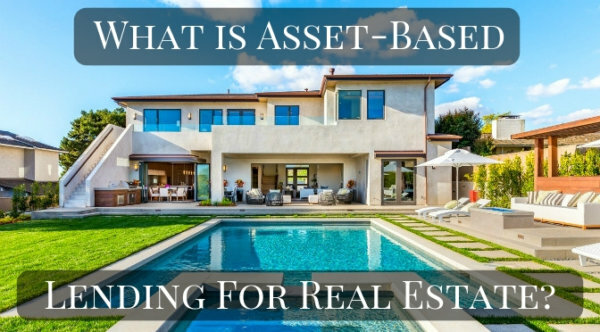 In situations where the borrower already owns a property and is requesting a loan such as a bridge loan or refinance loan there must be enough equity in the property to borrow against. When a hard money lender is considering whether or not to approve a loan, one major aspect they must consider is if the borrower will be able to make the agreed upon monthly payments. The best way to demonstrate the ability to repay is to have sufficient income to cover the monthly payments or having cash reserves to cover the holding costs of the property. If the potential borrower doesn’t have enough income and has nothing or very little in the bank this is red flag to a hard money lender. A borrower who is short on cash should look to partner up with someone who has funds to invest. Hard money loans are for short-term use primarily. 1 to 3 year loans are most common but longer terms of up to 5 years can be available in certain situations. Because of the short-term nature of hard money loans, a large balloon payment will be due at the end of the agreed upon loan term. The majority of borrowers do not have or do not want to use cash to simply pay off the loan at the end of the term, so an exit strategy is necessary. The hard money lender will want to know the borrower’s exit strategy upfront. Often times borrowers will take out a hard money loan because their current credit score or other issues prevent them from obtaining a conventional bank loan. Over the course of a couple years the borrower can work to clear up any issues and then refinance into a lower cost conventional loan. What is a Bridge Loan? How Does a Bridge Loan Work? How Much Do Hard Money Lenders Charge? 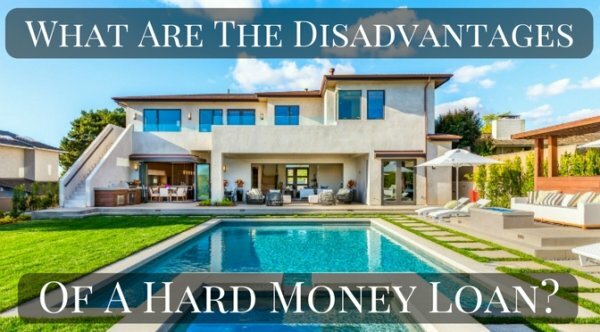 What Are Some of the Disadvantages of a Hard Money Loan?